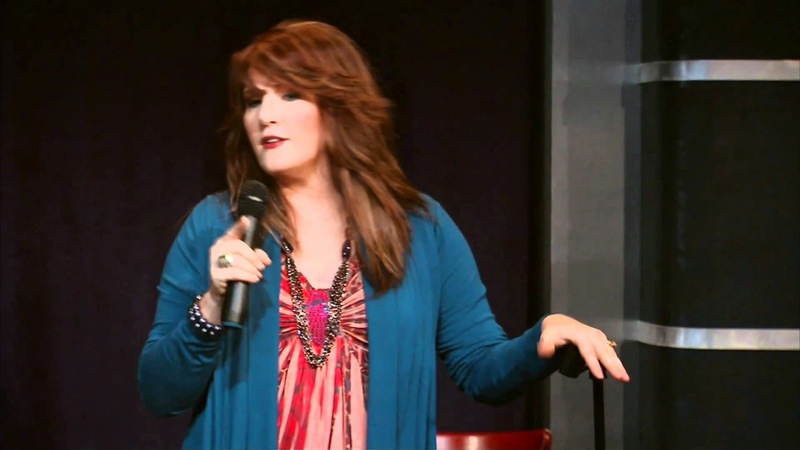 A regular commentator on Good Morning America, a Women of Faith speaker, and an all-round great gal, Anita Renfroe is an American Christian comedian. She performs stand up, writes and sings parody (see All the Wrinkled Ladies, below), and also writes books. When she's not doing that, she's home taking care of three children and her hubby, who is a Baptist minister. People went crazy after she posted The Mom Song on YouTube, which she wrote and performed, and that's when her career skyrocketed. According to Christian Books website, "Anita Renfroe has the spiritual gift of saying what most women think but are afraid to say out loud." I've seen her perform, and she does have a gift for mixing spiritual truth with comedy. She not only made me LOL, but she touched my heart, which is why she is on my list of favorite comedians. Here she is with her parody of Beyoncé's "All the Single Ladies." Anita has a Wiki Page; and Amazon has books by and about her.